Engaging. Focused. Reflective. Passionate. Collaborative. Honest. Accountable. In the final months of closing off my career, it was a regular occurrence to hear how excited I should be about retirement. I didn’t buy it! For 35 years, I was an educator, consultant, and leader. I loved my work! From my earliest days in the classroom, where I discovered a passion for guiding students in maximizing their potential, to the excitement of initiating the first co-principalship in Alberta and further, the invaluable, but never easy lessons I learned as a Principal and an Assistant Superintendent about supporting and empowering people and their organizations. I cherished my work and all of the successes, challenges, conflicts, milestones, and achievements that came with it. When I made the decision to retire, I knew I was not at the end of my journey as a learning leader. Maria M Consulting resulted in this realization and is the adventure I have chosen to embark on for the next stage of my career. Through this redirection, I will utilize all of my experiences, connections, and lessons to support others in their leadership journey. My time as a principal may have officially ended, but with Maria M Consulting my lifelong love for learning and leading will continue alongside you, your teams, and your organizations. Maybe retirement can be exciting after all! At the heart of my services are four fundamental values: collaboration, engagement, accountability, and integrity. My unique Take Back/Bring Back approach captures these values and ensures they are central to the process of your leadership development and learning. Regardless of your needs — be it one-on-one coaching, team sessions, keynote presentations, or workshops — be prepared to Take Back essential learnings and best practices into your lives and workplaces and Bring Back feedback, new questions and ideas for continuing your learning and growth in the future. The learning you will acquire with me will allow for transformation to take place in you and your organization. The framework for Learning Leaders involves active participation through my Take Back/Bring Back approach. This year-long training series will focus on transforming and growing your team leadership, emphasizing that anyone can be a leaders regardless of their position. How will you reinforce a positive learning environment? How will you provide on-going feedback and support to your colleagues? What strategies will you employ to become a more effective Learning Leader? How you currently handling difficult conversations with confidence and skill? How do you take risks in your organization and model them with your colleagues? Together, we will develop the leadership tools and skills needed to move your team and organization forward. These one-on-one sessions are designed to develop and strengthen your abilities as a Learning Leader. My interactive Take Back/Bring Back approach focuses on collaborative conversations utilizing your input to create a learning package tailored to your unique needs. As your coach and mentor, I will engage you with questioning techniques, in-depth conversations, and reflective practices, with a customized needs analysis to help you identify strengths, opportunities, and leadership blind spots. Celebration of growth and successes. Mary was my mentor as the new Superintendent of Schools at Kivalliq School Operations, Department of Education with the Government of Nunavut. The transformative mentoring exercise was done through emails and weekly telephone calls over a period of six months. Mary’s high-level questioning skills helped to develop my metacognitive skills, a key attribute in being an effective educational leader. The trust and deep connection experienced with Mary helped me courageously identify things in my own practice that needed change. She provided genuine suggestions that made me think about my leadership at a deeper level. Interested in increasing your potential of being successful in an interview? Additional coaching and mentorship opportunities are available for those looking to land that exciting new position or are hoping to make that crucial first impression in a new job. 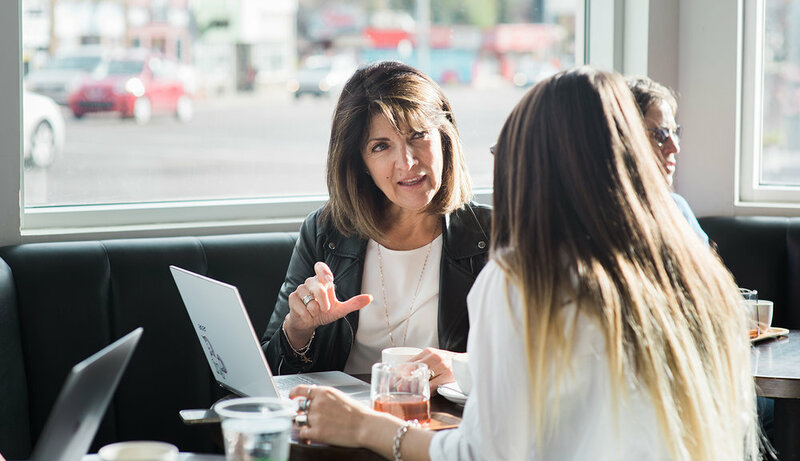 With interview preparation and new hire coaching, I will take you through a number of processes to support your readiness, such as critical questioning, resume analysis, and interview tips and practice. Mary allowed me to walk into my teaching interview with the confidence that only comes through preparation. Preparing for an interview can be both overwhelming and stressful, which was how I felt until I walked out of my meeting with Mary. She was able to provide me with reflective questions that inspired me to define my commitment to the profession. These professional development sessions are focused on helping your organization create sustainable and powerful transformation. My Take Back/Bring Back approach emphasizes stakeholder consultation and your active participation as a critical component of accomplishing this. Together we will work towards developing processes and solutions that will assist your organization in making impactful and lasting transformational change. These organizational development sessions are a means for you and your team to look at your organization from a broader perspective. Using my Take Back/Bring Back approach we will create the foundations of trust, collaboration, and openness necessary to generate open and sincere conversations about your organization’s culture and identity. Through thought-provoking questions like: Who are you as an organization? What do you collectively represent and value? How do you individually contribute to the culture? What day-to-day activities align with, and differ from, your organization’s stated mission and values? I will guide your team towards an understanding of what makes your organization flow and explore how each individual plays a fundamental role in determining your culture and identity. With Culture & Identity Consulting, I will support you and your teams through a process of organizational self-reflection by displaying the power of listening, providing on-going feedback and facilitating collaborative conversations. These public speaking and group engagements are designed to bring my expertise and enthusiasm for leadership and learning to your workplace and teams in a highly dynamic, inspirational and engaging way. Regardless of size, my Take Back/Bring Back approach ensures your team is actively engaged as learning leaders. Drawing on 25 years’ experience presenting to small and large audiences locally, nationally and internationally, I offer immaculately prepared sessions that are customized through consultation to meet your team’s unique needs. In my presentations you can expect both theoretical information and practical application, stories and examples from my diverse experiences in both schools and community organizations. Healthy Work Environments; How Do We Get There? Mary is a dynamic, engaging speaker who combines humor, real-life examples and ‘takeaways’ in highly focused presentations. She is masterful at combining her body of expertise with the immediate needs of the audience. She is a true change agent that will promote positive turbulence within your organization. We have been colleagues for 25 years and I have observed Mary conduct numerous presentations throughout North America, whether it be for one hour, one day or year-long mentoring.